The MAESTRO 4S separates both large and small PCBs quickly, economically and without stress. 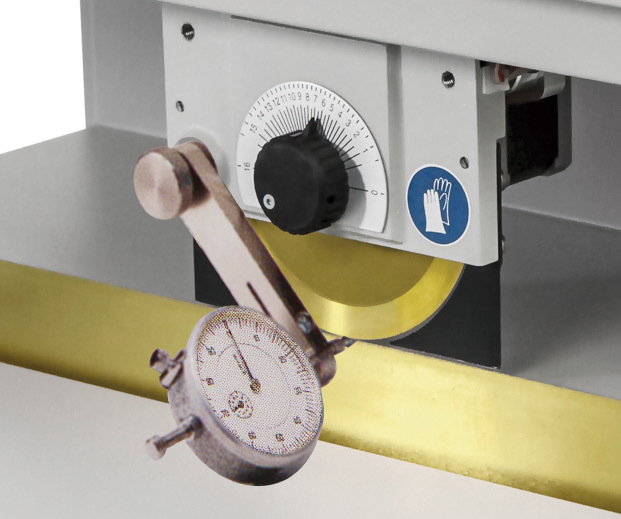 Cutting with only a single traverse of the pre-scored groove causes tensile and compressive stresses that can damage sensitive components near the groove. Even a second traverse of the groove accompanied by an adjustment of the blade distance substantially reduces the tensile and compressive stresses. This significantly improves the quality of the populated PCBs. The blade distance is entered on the operating panel and its adjustment is motor-powered. Up to nine programs can be stored. The continuously adjustable separation length is set with limit switches. For separating aluminum with the MAESTRO 4S we recommend using the FR4 circular blade with special blade settings. More information in the operation manual. Various aluminum alloys are used in the manufacture of PCBs. We recommend submitting sample PCBs with the order in order to optimize the cutting geometry and for the correct adjustment of the circular blades. In this video tutorial we show you step by step how to adjust the upper guides and the cutting length on MAESTRO 4S. The pre-scored groove can be interrupted by cutouts. If components project above the groove, the linear blade needs to be cut out. In such a case contact us. The separated PCBs are placed individually on the conveyor belt, and transported out to the side of the machine. The speed is adjusted according to the size of the PCB. A light barrier at the end of the conveyor belt detects the arrival of PCBs and stops the belt. For separating aluminum with the MAESTRO 4S the standard circular blade with special blade settings can be used. More information in the operation manual. Belt speed 5, 6, 7, 8, 9 m/min. 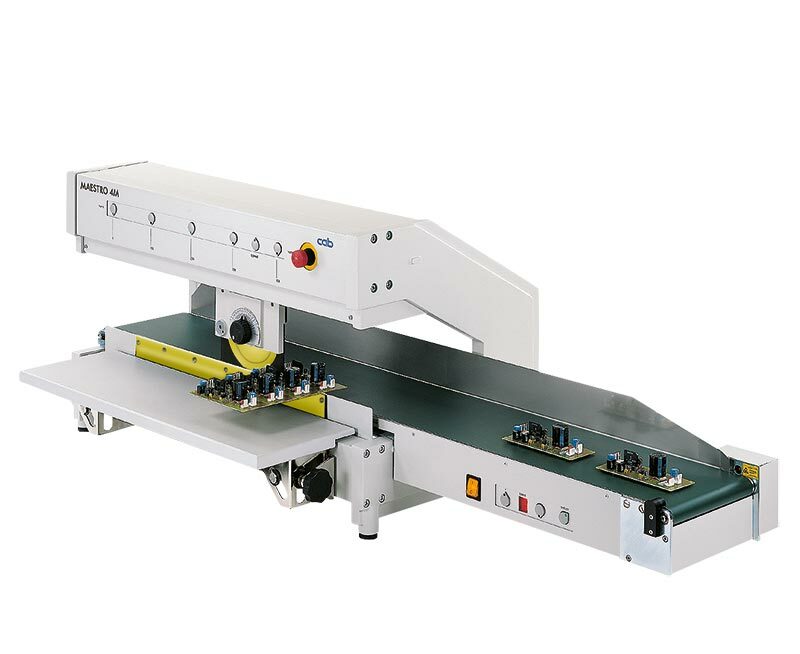 The circular and linear blades must be precisely guided across the entire separation length in order to achieve stress-free separation and a long service life. The measuring system is mounted on a carriage for setting and regularly checking the parallelism.